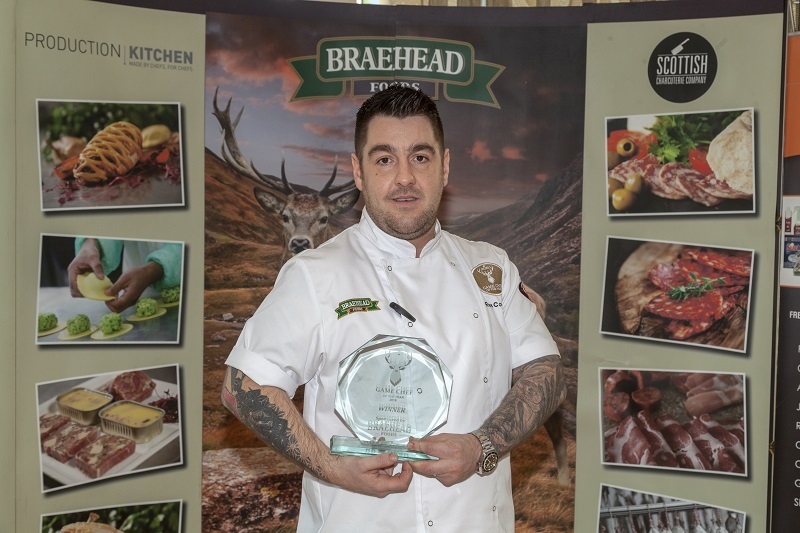 Aberdeenshire Chef Ross Cochrane has taken the title of National Game Chef of the Year in a fiercely fought cook off with top chefs from across the UK. 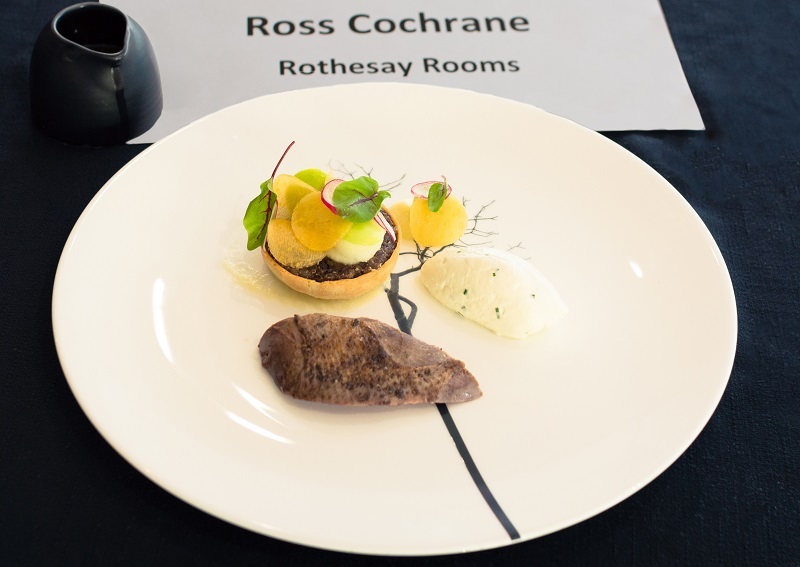 The Executive Chef from the Rothesay Room’s two game dishes were rated the best by Michelin star judges Ian McAndrew, Clare Smyth MBE, Stephen McLaughlin and Geoffrey Smeddle. Judges also awarded two runners up places to Chris Davis of Gather & Gather, London and Hywel Grifitth of Beach House Oxwich, Swansea. Ross will be jetting off to Sweden on Friday morning where he will enjoy Michelin star dining for three nights. Main sponsor, Highland Game, who have been involved with the competition since it started, have also organised for Ross to enjoy a once in a lifetime wild boar hunt in the snowy Ericsberg Estate in Katrineholm on Saturday afternoon.